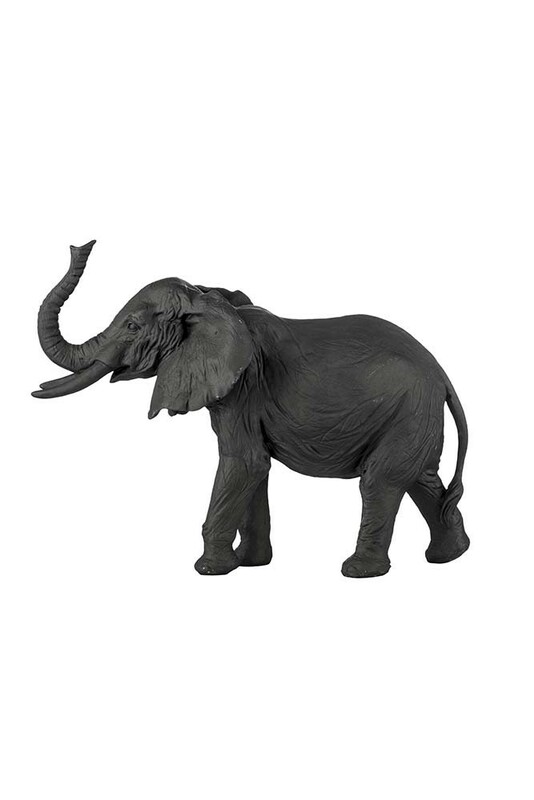 The Black Bull Elephant Ornament is a striking and beautiful design that brings a little piece of the iconic African savanna into your home. Finished in matt black and crafted from a Polyresin material with incredible attention to detail, the stately black bull elephant measures height 19cm x width 13cm x length 26cm. 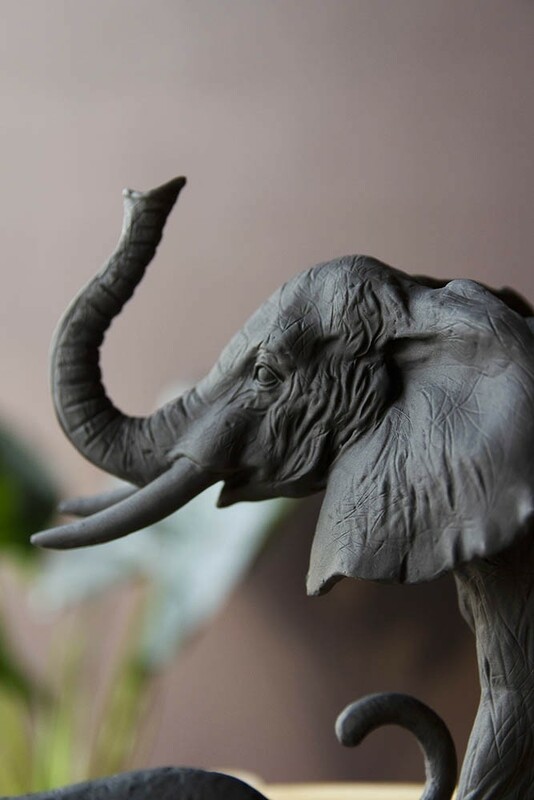 A wonder of the animal kingdom, elephants are captivating creatures and our black bull elephant ornament is no exception. 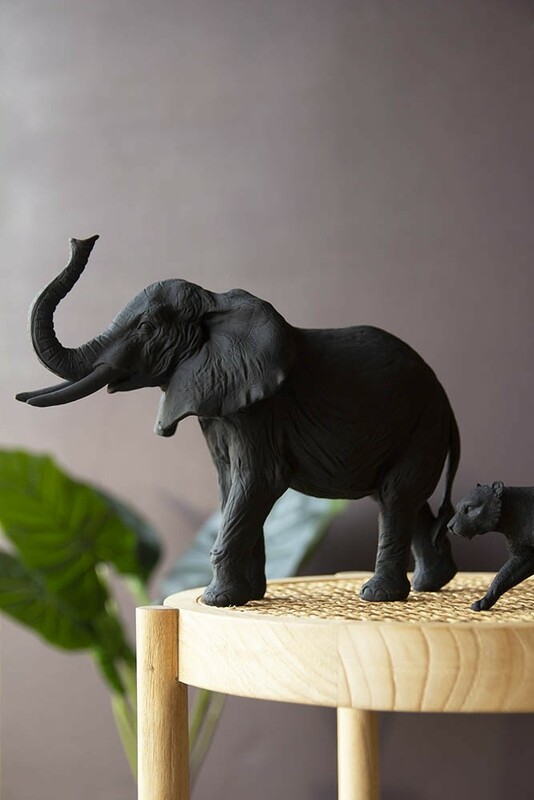 Presented in matt black for a contemporary finish, the black elephant is beautifully detailed with realistic markings across the trunk, body and wide, expansive ears. A quirky display piece with plenty of impact, the black elephant ornament introduces quirky, African-inspired style to the home. To complete the safari scenes in your home, pair our elephant ornament with the impressive Black Stalking Leopard Ornament and style the two side by side. At home just about anywhere, the Black Bull Elephant Ornament is serious style statement and deserves to be the centre of attention. Style it on a sideboard next to the bar cart in the living room, or for added character, introduce the black elephant amongst houseplants and lush greenery for a playful display feature.